Fifty years ago, many of America’s rivers were open sewers for human and industrial waste. The nation was horrified in 1969 when the Cuyahoga River actually caught fire. 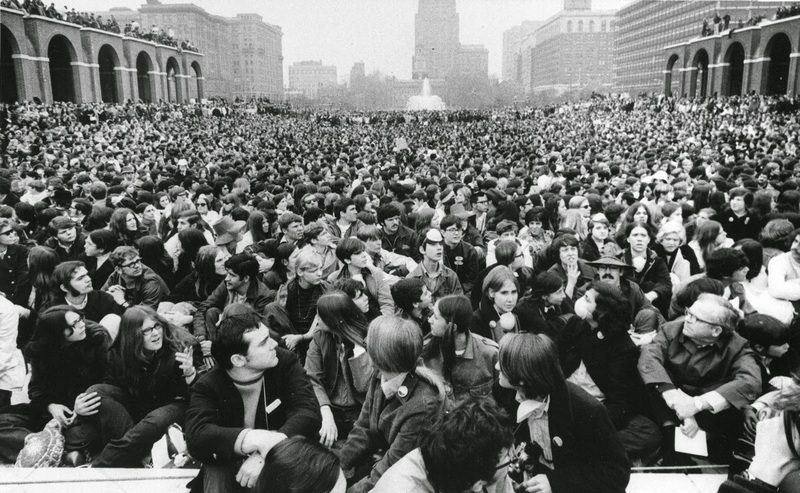 The sight and stench of our waterways created a public outcry that helped inspire some 20 million Americans to take to the streets and demand action during the first Earth Day on April 22, 1970. When President Richard Nixon vetoed the legislation, citing concerns that it would cost too much, an outpouring of public support prompted Congress to override the president’s veto by a nearly 10 to one margin. The Clean Water Act and subsequent amendments sharply reduced direct discharges of untreated sewage and industrial pollution into our water bodies and authorized grant programs for sewage treatment plants and other measures to clean up the nation’s waterways. The law created ambitious goals for “zero discharge” of pollutants into navigable waters by 1985 and for all U.S. waters to be “fishable and swimmable” by 1983. Although the law’s loftiest goals have not been met and there are still too many water pollution problems, the act prompted dramatic improvements to water quality. Unfortunately, forces in Washington are now threatening to pick apart regulations that implement the Clean Water Act and other environmental statutes. Let them know where you stand. Keep track of their votes. Last week, Congress repealed a rule that sought to protect the nation’s streams from pollution caused by coal mining. Most of New Jersey’s 12-person delegation to Congress voted to continue the “stream protection rule,” including central New Jersey Representatives Bonnie Watson Coleman (12th Congressional District), Frank Pallone (6th CD) and Chris Smith (4th CD). But three of our state’s members of Congress voted with the coal industry and against the stream protection rule: Rodney Frelinghuysen (11th CD), Leonard Lance (7th CD) and Tom MacArthur (3rd CD). Two days later, the House of Representatives voted to repeal a regulation requiring oil and gas companies operating on federal public and tribal lands to control their emissions of methane, a potent greenhouse gas. Ms. Watson Coleman and Mr. Pallone voted to continue the methane rule but five of New Jersey’s representatives voted with the oil and gas industry and against this climate protection rule: Mr. Frelinghuysen, Mr. Lance, Frank LoBiondo (2nd CD, who voted to continue the stream protection rule), Mr. MacArthur and Mr. Smith. In addition to these actions in Congress, the new administration has threatened to repeal an initiative by its predecessor called the Clean Water Rule that sought to ensure protection for most of the nation’s streams and wetlands. Expect a vote to repeal that rule any time now. Americans concerned about our water and environment must once again stand up and speak out for these priorities. Let your elected leaders at the local, state and federal level know where you stand and that you are keeping track of their votes. Jim Waltman is the Executive Director of the Stony Brook-Millstone Watershed Association, a member-supported non-profit organization that works to keep water clean, safe and healthy in central New Jersey. For more information about the Watershed Association, including how to volunteer and donate to its efforts, visit www.thewatershed.org or call (609) 737-3735. Support us as we work to keep New Jersey's water clean, safe and healthy.